The Fiend BMX "Type B" 2019 BMX Bike - Matte Trans. 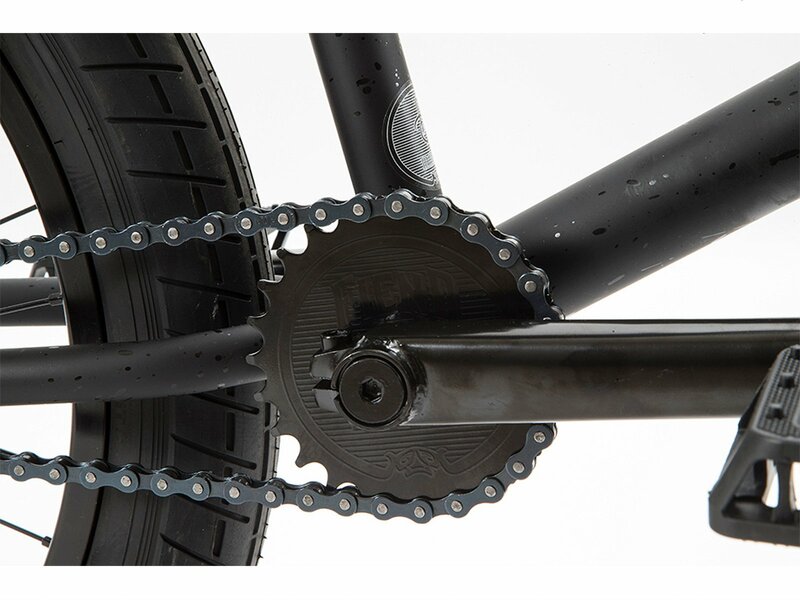 Black / Black Splatter features a BMX frame with a 4130 CrMo down tube, top tube and headset tube for strength and similar geometry and look like the famous Fiend BMX "Embryo" BMX frame. 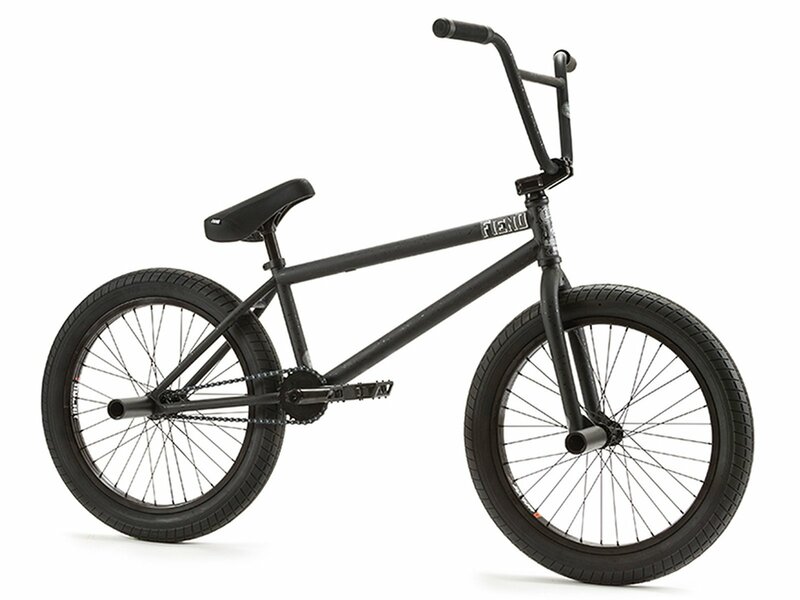 The Fiend BMX "Type B" 2019 BMX Bike - Matte Trans. Black / Black Splatter comes with 100% 4130 CrMo bar and fork, removable brakemounts, integrated headset (sealed bearing), Mid BB (sealed bearing), a sealed cassette and front hub and parts from Mission like the Mission "Cease" U-Brake or the Mission "Merlot" rim and so the bike got everything to delevop your BMX tricks much better and create your own riding style.